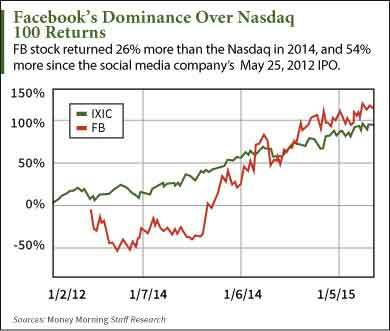 Facebook stock (Nasdaq: FB) crushed Nasdaq 100 returns by 26.79% last year, and by 54% since it went public in May 2012. To understand what's fueled this rise, we answered a key question: "How does Facebook make money?" 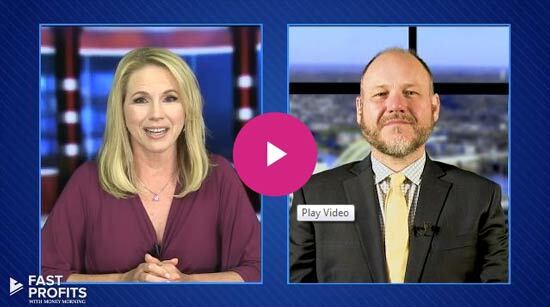 We asked Money Morning E-commerce Director Bret Holmes to shed some light on how Facebook is making money. Holmes uses web advertising across multiple social media platforms as part of his job here at Money Morning. And with Facebook's 1.39 billion monthly active users (and 1.19 billion on mobile) – more than any other social media site – its advertising model is a key component of his work. "Social media companies are legitimate advertising websites, no different than, say, Google (Nasdaq: GOOG, GOOGL) or Yahoo (Nasdaq: YHOO)," Holmes said. "Except users have a much different relationship with Facebook. FB functions like a family – it knows a lot about you, you're constantly interacting. Google is more like your neighborhood – it's there when you need it, but you don't need it every day." The trick for social media companies like Facebook profiting as ad platforms is finding the best way to insert advertising into this "family-like" user experience without impacting the user in a negative way. We all remember that Facebook's 2012 IPO was an unmitigated disaster. It lost over half of its value within six months of listing, and was priced at 107 times trailing 12-month earnings, making it pricier than 99% of all companies in the S&P 500 at the time. But its rebound – the Facebook stock price more than doubled from July through September 2013 – stemmed from advertising. "Facebook has gotten really good at advertising. It's inexpensive and it's smartly done," Holmes said. Facebook has made two changes to unlock its value and become what Holmes described as "the most advantageously competitive product on the market for advertisers, hands down." The first thing it did to turn performance around was develop a new advertising format in early 2013. You see, Facebook originally started with space ads. Then, it gave advertisers the ability to promote an individual's or a company's Facebook page. But things were still sluggish. The new format it implemented is technically referred to as "native social ads" – ads that are seamlessly integrated into the social media's platform. BIA/Kelsey projects social media native revenue as the fastest-growing social media advertising method at a 38.6% CAGR by 2018. "Facebook has integrated in-stream ads to the user experience. Response rates are high and advertisers will always chase the least expensive ad with the best response," said Holmes. In-stream ads can be videos. For instance, a commercial will appear before the user may watch an Internet video. On a social media site like Facebook, which has real-time update feeds, in-stream ads can be inserted into a streaming feed. So, for example, the user scrolls through the news feed to see what friends and family are up to, and in-stream ads are peppered into the feed. "For the first time, in 2013, Facebook let advertisers access FBX, an ad exchange where you can customize your own ads," explained Holmes. "Now we can glean information and better target our audience. We can also advertise on mobile now."